We’ve just spent three days at the annual security exhibition IFSEC, taking place at the Excel in London this week. It’s a huge show and impossible to look at everything but overall the sense is that the evolution of IP-based security technologies is continuing to gather pace and analogue-based solutions have now been marginalised. I did not see one analogue camera on the show at any of the main stands, but then I was not looking for one. 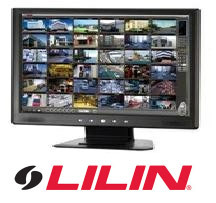 We’ve fired up and installed Merit Lilin’s 72-channel VMS software ‘CMX’ and taken a quick look at its usability, its main features, its suitability for its market and its downfalls. Can free VMS software from an IP camera manufacturer compare with established premium VMS brands like Milestone or popular NAS-based surveillance systems like those from QNAP? Free IP camera recording software released by IP camera manufacturers has historically been fairly lacklustre and lacking in features and performance, consisting of either a cut-down version of the manufacturer’s paid-for VMS suite with limited features, or being itself limited to only a single camera license, meaning that for all but the smallest security systems, the software is little or no use.